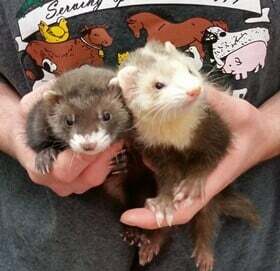 Ferrets are lovable, friendly, playful little animals. If you keep a single Ferret, it will get lonely. Being very curious, they need attention and lots of toys. A sleeping Ferret may seem like a dead Ferret, because its body temperature drops considerably. Waking up Ferrets shiver terribly to bring up the temperature.